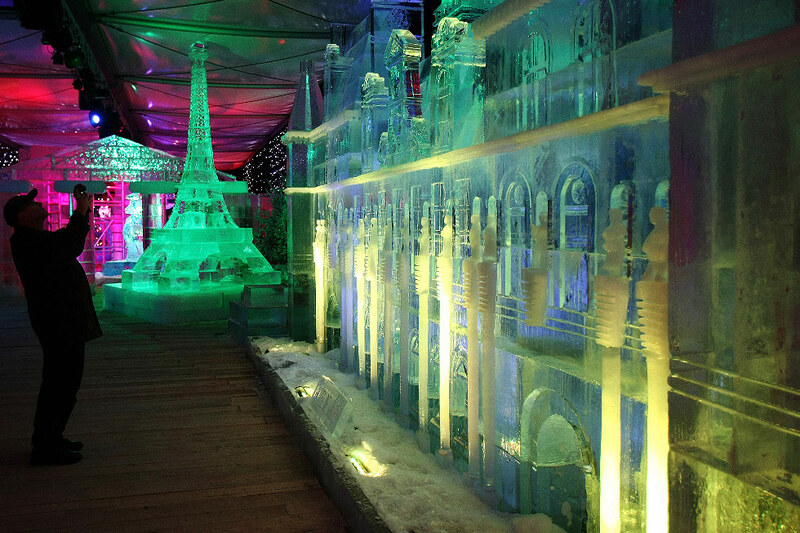 Feast your eyes on these ice and snow sculptures from around the world. 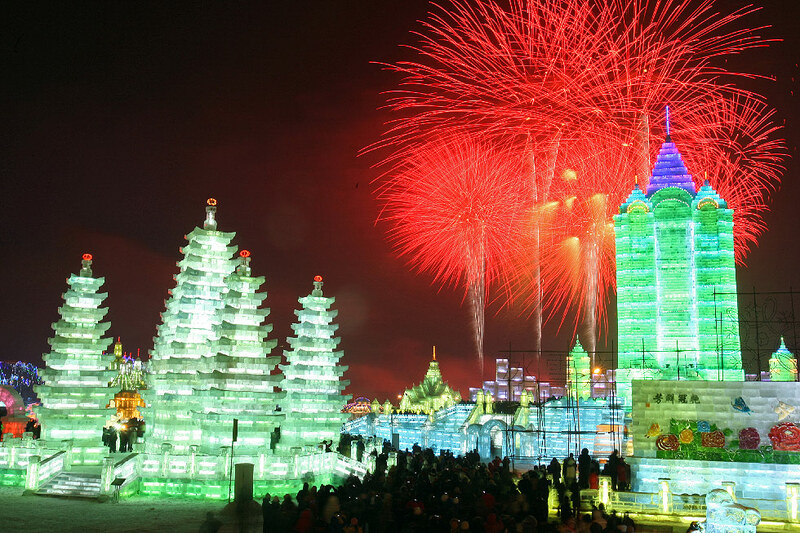 Historians say the origins of ice sculptures are credited to both China and Russia, and go back centuries. Today, these icy pieces of art continue to pique the curiosity of people across the globe. Ice sculptures tower over spectators at last year's Harbin International Ice and Snow Festival in Harbin, China. The festival has been celebrated annually since 1985 and draws sculptors and visitors from around the world. 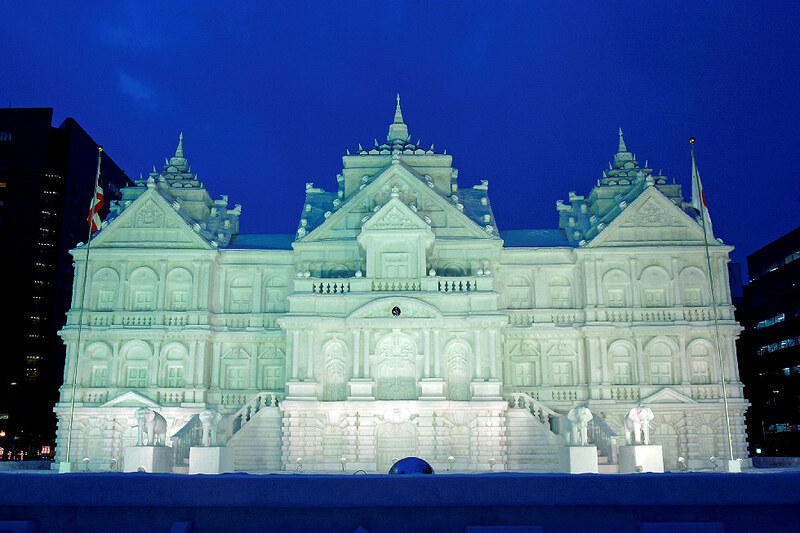 Ice blocks from the nearby Songhua River are used to build intricate sculptures and building replicas at the Harbin festival. Visitors walk among the sculptures on display at the annual Ice Sculpture Festival in Bruges, Belgium. More than 300,000 kilograms (330 tons) of ice were shipped in for this year's festival, whose theme is "Around the world in snow and ice." 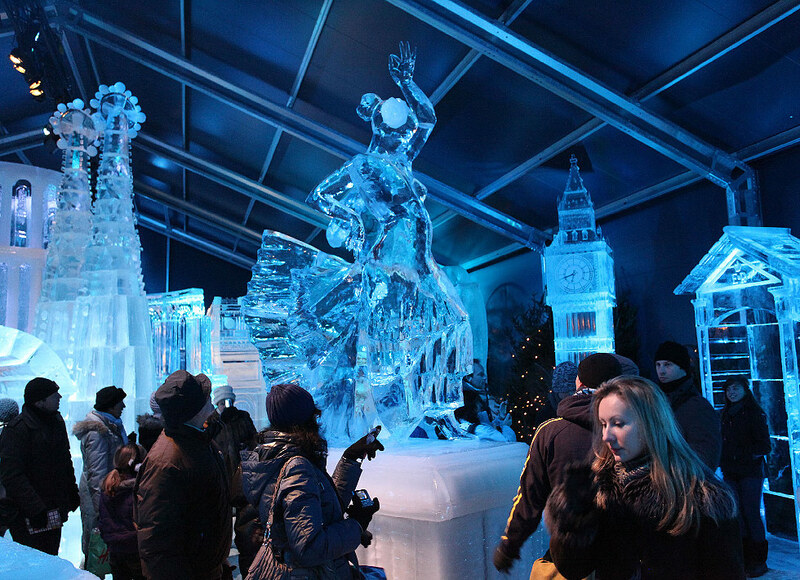 The "Ice Magic" event in Paris, France, is held every year at Place de la Concorde near the Champs Elysées. 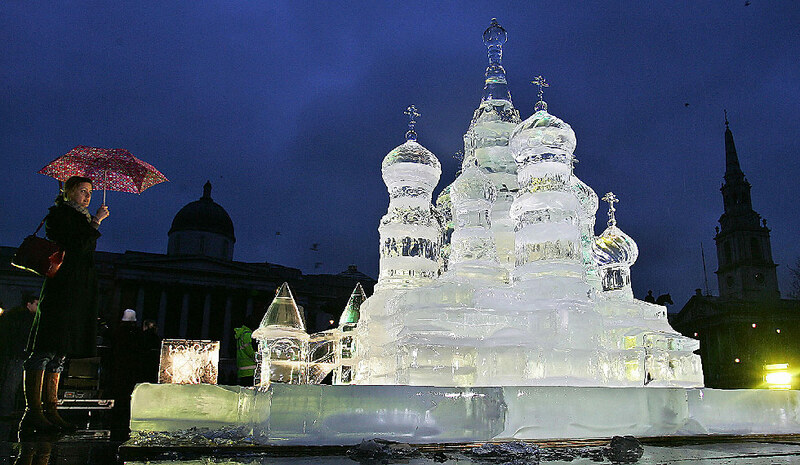 An ice replica of Russia's St. Basil's Cathedral was erected in London's Trafalgar Square in January 2006 as part of the annual Russian Winter Festival. 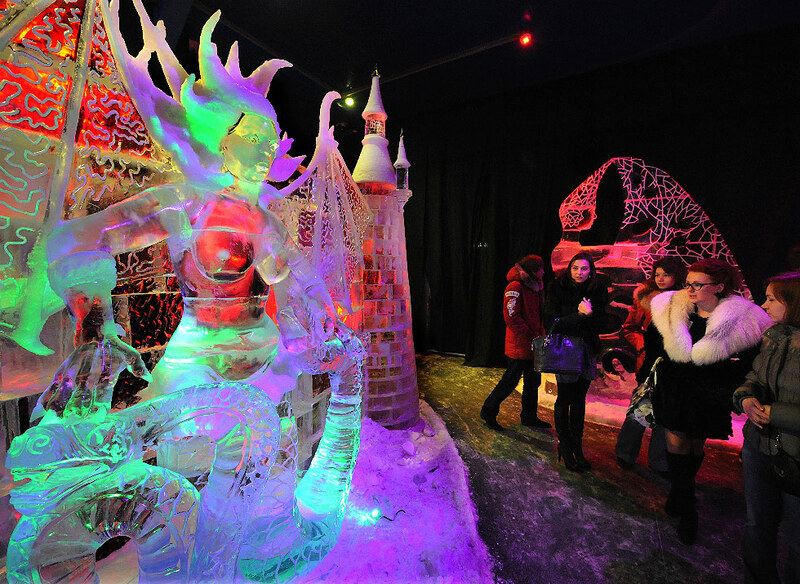 Visitors admire ice sculptures at The Museum of Ice in Moscow. The museum is open year round. 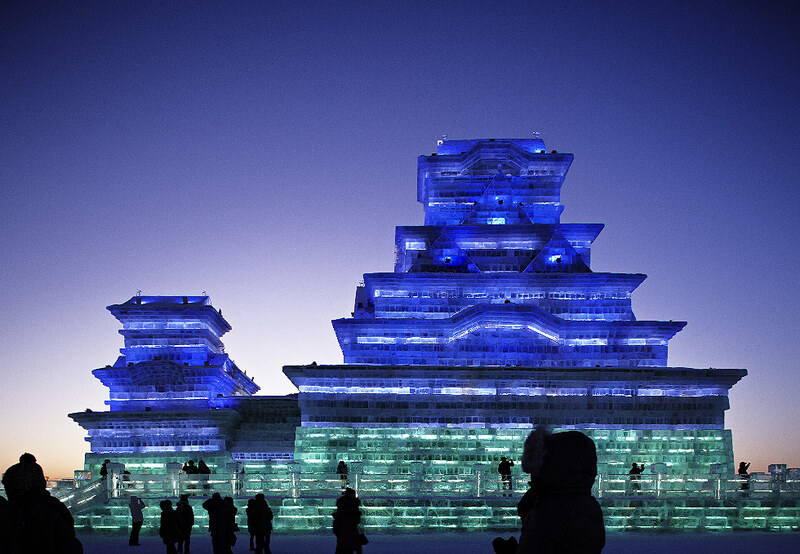 The Sapporo Snow Festival in Japan attracts about 2 million people each year. This year's event is February 7 to 13. 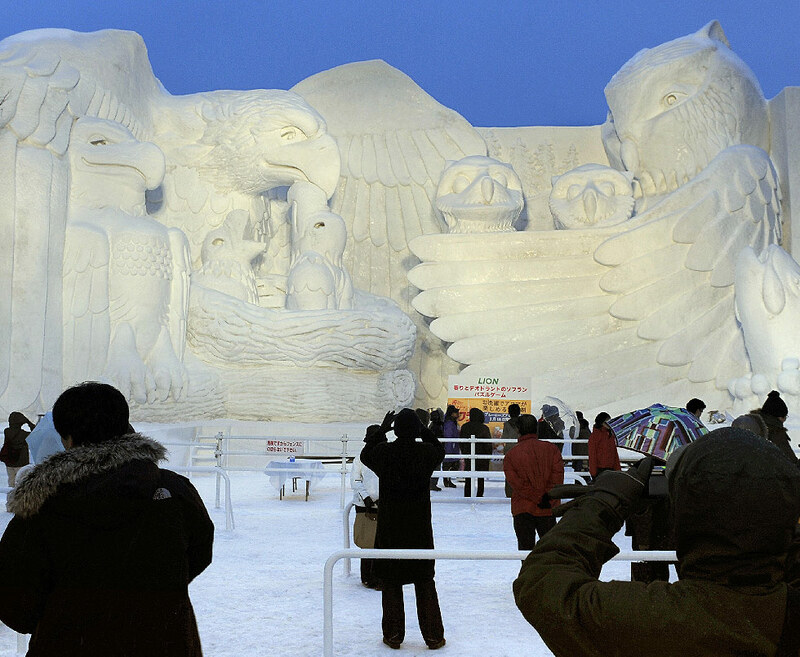 People admire a snow sculpture called "Northern Animal Family" at the Sapporo Snow Festival in 2009. 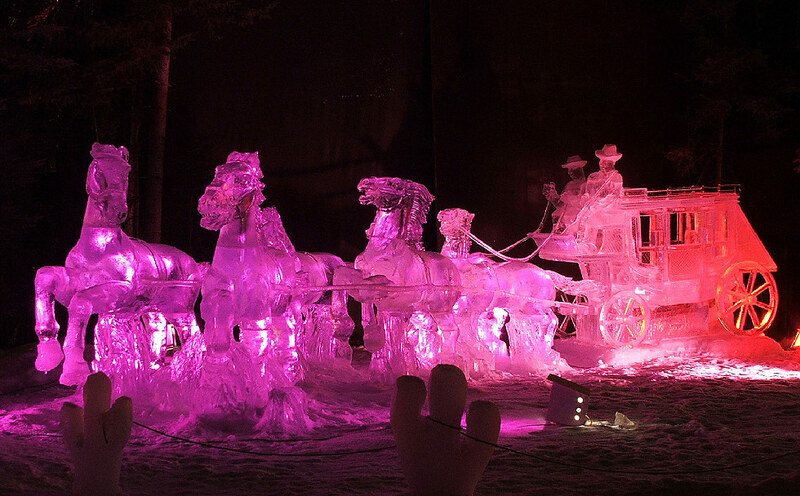 The World Ice Art Championships are an annual ice-sculpting contest in Fairbanks, Alaska. This year's event will run from February 22 to March 27. 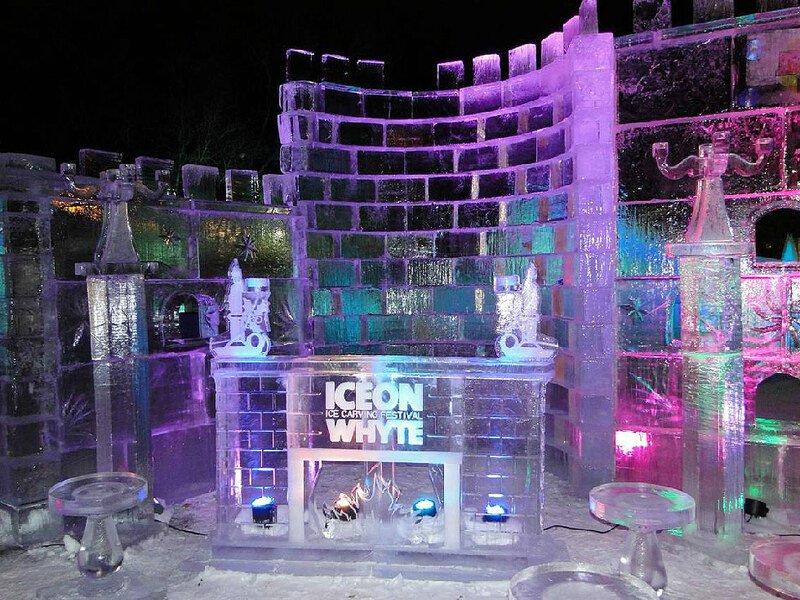 Since 2003, "Ice on Whyte" in Edmonton, Alberta, has featured an annual ice-carving competition.